Yuba City is the gorgeous city and county seat of the Sutter County in sunny California. Yuba City was previously occupied by the Maidu People, and its beauty has been maintained over centuries. Located in northern California, Yuba City became an incorporated city in 1908, and today, is populated by over 66,000 people spanning 15 square miles across three zip-codes. Upcoming residents who have an interest in arts, history, and culture should check out the Community Memorial Museum of Sutter County. Homeowners with school-aged children can enroll them in several places including the Yuba City Charter School which admits students grade K-12. Families will find entertainment as well as peace at the dozens of parks including Happy Park, Greenwood Park, and Veteran’s Memorial Park. Other ventures that await residents are the Feather River Levee Bike Trail, concerts in the park, and the Geweke Field. Yuba City real estate presents homebuyers with ample opportunities, sizes, and styles. 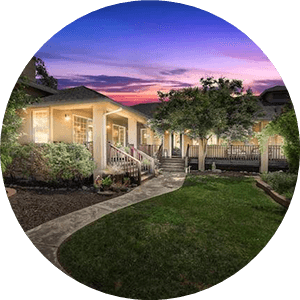 Floor plans with as many as five bedrooms with over 5,000 square feet can be discovered in this city along with homes with a pool in Yuba City. 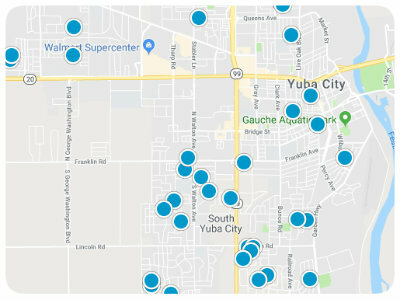 Houses for sale in Yuba City near the Yuba City Mall can be located as well as properties cloaked in privacy with space to grow. 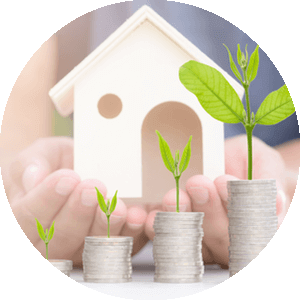 If you are interested in purchasing a home for sale in Yuba City, California, please contact us today.